1. Mix banana, potato and bread slice to make a mixture. Add all spices. Crumble cheese, add corns to prepare for stuffing. 2. 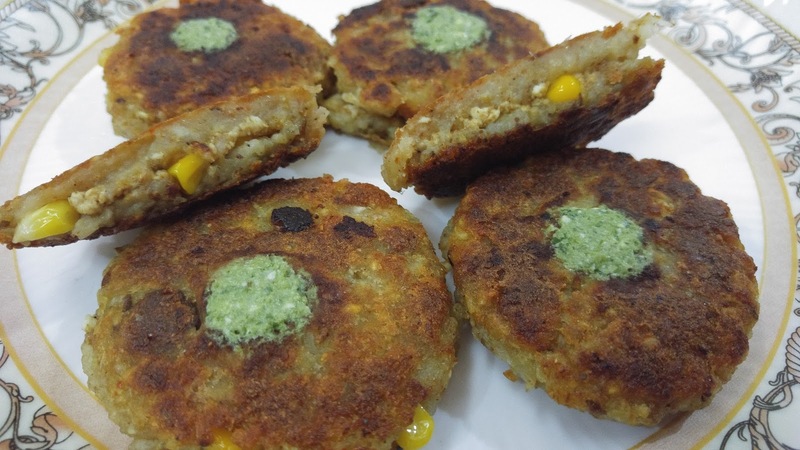 Make 2 small cutlets of banana mixture and stuff corn material in between. Similarly make all other cutlets and shallow fry these. Serve hot with green chutney or sauce.